However, towards the fag-end, profit-booking erased most gains and the index finished at 35,483.47, up 39.80 points, or 0.11 per cent. The 50-share NSE Nifty, which reclaimed the 10,800-mark intra-day, settled at 10,786.95, showing a gain of 19.30 points, or 0.18 per cent. Bharti Airtel, Sun Pharma and Dr Reddy's were the top Sensex gainers. The Sensex surrendered early gains to close modestly higher at 35,483.47 today amid mixed global cues. Optimistic buying in blue-chip stocks ahead of release of industrial production data for April also drove stocks higher, particularly in early trade. Global investors were keenly monitoring developments around the historic US-North Korea summit in Singapore on June 12. 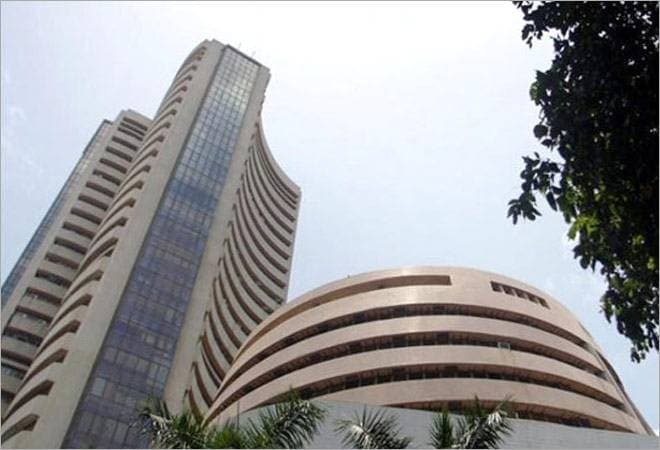 The Sensex had opened on a healthy note at 35,472.59 and rose to the day's high of 35,704.84 on unabated buying by domestic institutional investors (DIIs). VK Sharma, Head Private Client Group & Capital Market Strategy at HDFC Securities said, "The markets realized that an outright positive deal may not emerge from the talks at Singapore that begin tomorrow, even if the talks are termed as successful. At one points of time, all the sectors of the Index were in the green. The Media, Pharma and FMCG were the star sectors, rising 1%, 0.5% and 0.3% respectively. Realty and Metals were laggards, falling 0.6% and 0.4% respectively. Bharti Airtel with a gain of 3% led the Nifty constituents. Bajaj Capital rose 1.9% and Grasim edged up 1.9%. Among the losers, Tata Steel lost 2.25% as pressure mounted on Tata Steel's JV partner in Europe, Thyssenkrupp, to negotiate better terms. UPL and HCL Tech slipped 2% each. The Rupee appreciated by 10 paise and Crude declined by 0.61%. Though the Nifty closed in the green with a positive advanced decline ratio, the day's action of defending its gains comes across as a weak point. The Nifty could tread some more water tomorrow." The midcap and small cap indices closed 14.79 points lower and 86 points higher, respectively. Meanwhile, DIIs bought shares worth a net Rs 459.44 crore, while foreign portfolio investors sold equities to the tune of Rs 222.50 crore on Friday, provisional data showed. Abhijeet Dey, Senior Fund Manager-Equities at BNP Paribas Mutual Fund said, "Trading for the week started on an upbeat note as key benchmark indices traded with strength on sustained buying demand in index pivotals. However, markets are expected to witness volatility in the coming week as global developments influence investor sentiment. US President Donald Trump and North Korean leader Kim Jong Un will meet for an historic summit in Singapore tomorrow, 12 June 2018. The meeting takes place after tensions emerged between Trump and Western allies in the aftermath of a G-7 meeting and has widespread implications on global trade and economic stability. On the same day, UK Prime Minister Theresa May faces votes that could derail her Brexit policy. The outcome of these meetings might have an impact on market direction and strength, this week. Domestic markets finally gave up most of their gains to close the day near the flat line. Barring the IT and metals index, all other sectoral indices on the National Stock Exchange (NSE) traded the day with gains." Market breadth was positive with 1529 closing higher compared with 1147 ending lower on BSE. 156 stocks were unchanged. Global markets mostly rose Monday as Donald Trump prepared to meet North Korean leader Kim Jong Un following the American president's outburst at Canada's prime minister over trade. European markets were boosted by an Italian official's declaration that the country has no intention of leaving the euro. Germany's DAX was up 0.4 percent to 12,818 and Britain's FTSE 100 gained 0.8 percent to 7,743. Paris's CAC 40 added 0.3 percent to 5,464, while Italy's FTSE MIB jumped 2.2 percent to 21,820. On Wall Street, the future for the Dow Jones industrial average was up 0.1 percent and that for the Standard & Poor's 500 index was flat. Tokyo's Nikkei 225 rose 0.5 percent to 22,804.04 while the Shanghai Composite Index lost 0.5 percent to 3,052.78. Hong Kong's Hang Seng added 0.3 percent to 31,063.70 and Seoul's Kospi advanced 0.8 percent to 2,470.15. India's Sensex added 0.7 percent to 35,689.79 while benchmarks in New Zealand and Southeast Asia also gained. Australian markets were closed for a holiday.